I don't think there is anything contradictory about the fact that LeeSun's bright and summery debut album reminds me of Christmas. This is, after all, the cocktail party season, and cocktail parties call for touch of cool and breezy music with prominent jazz overtones. Prime makes me want to throw a really hip holiday soiree just so I have an excuse to spin it on my turntable. 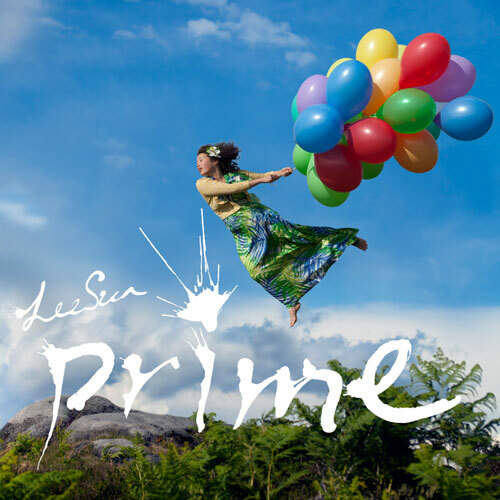 Prime makes a strong beginning with Mickey Mouse, a vibrant number that has the kind of jazz beat that makes your head bop in one direction, while your shoulders sway in another, and your hips do something different altogether. When the jaunty horns kick in on Love Me or Leave Me, I defy you to resist finding yourself transported directly to Whoville. Mountain Song, meanwhile, has a playful time signature that belies the gravity of the lyrics. LeeSun has a wonderfully clear and playful voice. There's a sprightliness to her vocals that make her poppy songs bright and crisp and her more wistful songs a study in muted clarity. The beautiful weeping instrumentals of Humming Tune, for instance, speak to a wistful longing, while Ahavi's Song is deeply dreamy with lovely touches of glockenspiel. If the name LeeSun sounds familiar, perhaps you recall the delightful video interview she did for us recently. In the video she explains the album's connection to Calgary, in particular the Cantos Music Foundation. And she does a pretty mean Blue Steel. Do watch the video to get a feel for the slightly kooky personality behind the classically-trained musician with the maths degree. At the very least, take a listen to the sonic explosion of Prime. The eclectic album is being released in the UK this month, and hopefully will be gracing turntables at hip cocktail parties on this side of the pond very soon afterward. I had a listen and is easy, breezy and please-y like your excellent review! When's the party?